September 8, 2018 10:16 am. 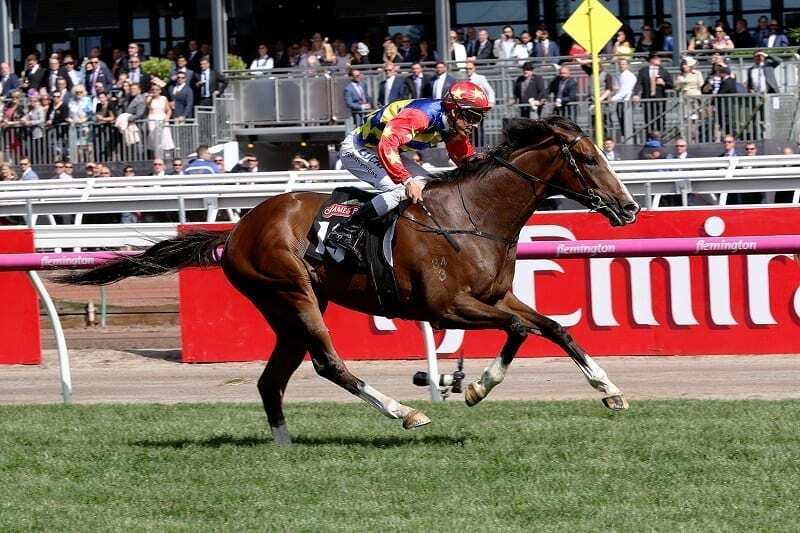 Stakes-winning gelding Odeon has shown his trainers Matthew Ellerton and Simon Zahra plenty of ability at home and they are hoping he can turn that into a winning performance in the Group 2 Dato Tan Chin Nam Stakes (1600m) at Moonee Valley on Saturday. The Zacinto five-year-old has had two runs back this preparation for two minor placings and his trainers are happy with him going into Saturday. “We’re rapt with the way he is going,” Zahra said. “The other day was a pretty funny run race (Harrolds Handicap 1519m). I think they ran their first 1000m in 56 and he ran his first furlong in 10.5, so they were going at breakneck speed and I thought he acquitted himself very well. He’s come through that run in good order. Although happy with his progress, his trainers are hoping their charge can finally break through at weight-for-age level, but his main spring target remains the Group 1 Caulfield Cup (2400m). “We’ve been a little bit frustrated,” Zahra said. “He has been going really well on the track and his jump outs have been good. It’s probably time for him to stand-up a bit at weight-for- age. At this stage he might just be a handicapper, but we’re going to get a good guide (on Saturday). “He’s been running around in weight-for-age races in his last two campaigns, so he might just not be there at that level, so the next two runs will tell us where he is at, but we can’t be more pleased with the way he is ticking over. Odeon has drawn the inside barrier in Saturday’s feature, but he may be kept back and left to have one run at them. “He can just lob there,” Zahra said. “We were quite aggressive the other day. We’ll just let him find his feet and let him travel and see if he can show us that turn of foot he shows us at home.